Happy Halloween to our U.S. readers! And to our friends around the world, it’s a crazy American obsession that we can’t well explain, but a picture is worth a thousand words! Here’s a link to photos taken in Salem, Massachusetts on Halloween. Salem is the epicenter of Halloween because of the witch trials centered around a group of girls that took place there in the Spring of 1692. We recently learned of a fascinating website that posts research about consumer fraud based on data provided by the United States Federal Trade Commission. The site is called the “Consumer Sentinel Network” on Tableau.com. Here are just a few of the interesting statistics we found from their data for the first three quarters of 2018…. $400 is the median loss due to fraud as reported by nearly one million cases in the US. “Wire transfer” is the most common method by which victims send their money to the fraudsters. Website fraud represented 12% of the reported fraud cases but 41% of these cases resulted in financial loss. Examples we have written about include anti-aging face creams, discounted computers, apartment listings on Craigslist, and fake AirBnB listings. 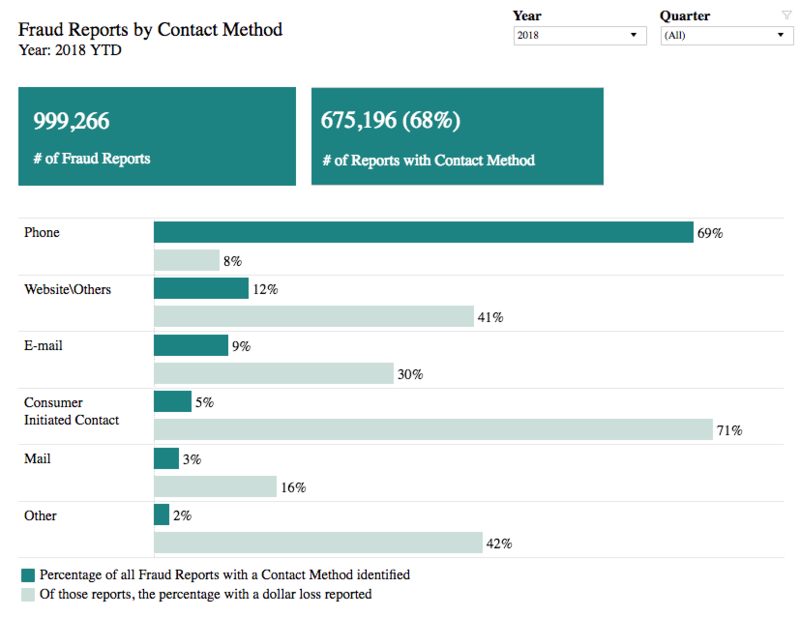 “Consumer initiated contact” represented 5% of reported online fraud but a whopping 71% of these cases resulted in financial loss. An example of this type of fraud are the consumers who find fake phone numbers online for customer support, such as these phony Amazon numbers or other fake consumer service numbers. Finally, and not surprisingly, the age range most vulnerable to scammers is 60 to 69 years of age, representing 20% of all reported fraud for the first three quarters of 2018. This was followed by ages 50-59 at 17%. Want to hear about a “free computer service” YOU DON’T WANT TO USE? 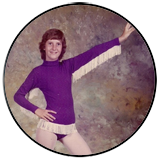 Listen to the 33 second voice message posted on our website and guess the country of origin! 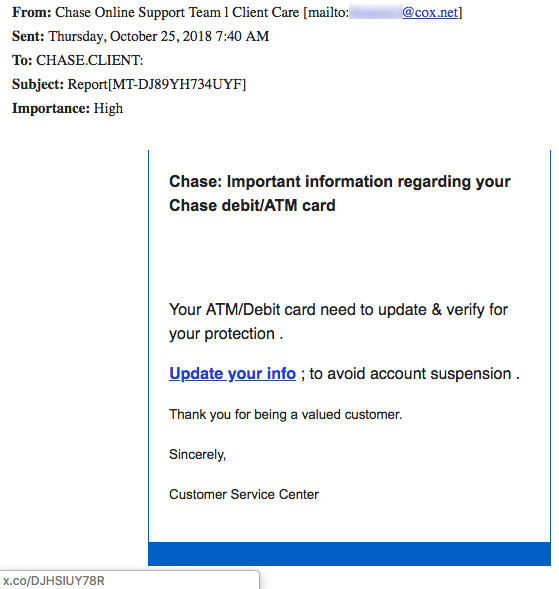 A TDS reader sent us this phish, which appeared to come from their own email address, though FROM says “Chase Online Support Team 1 Client Care.” The awkward English in this email tells you everything you need to know… “Your ATM/Debit card need to update & verify for your protection .” That and the fact that a mouse-over of “Update your info” points to a shortened link at x.co. 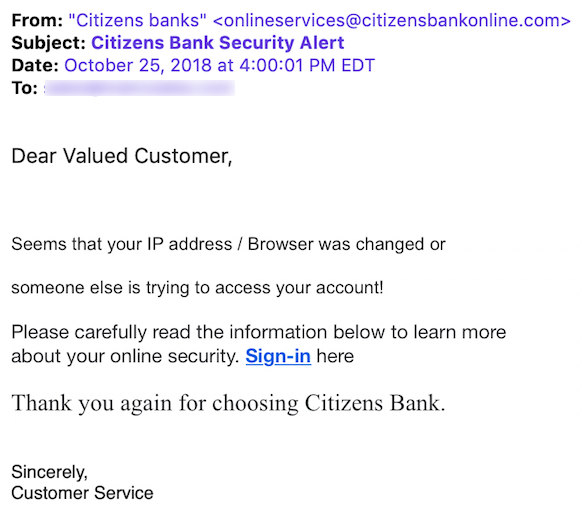 Another TDS reader sent us this Citizens Bank security alert but didn’t include a screenshot while mousing over the link for Sign-in. 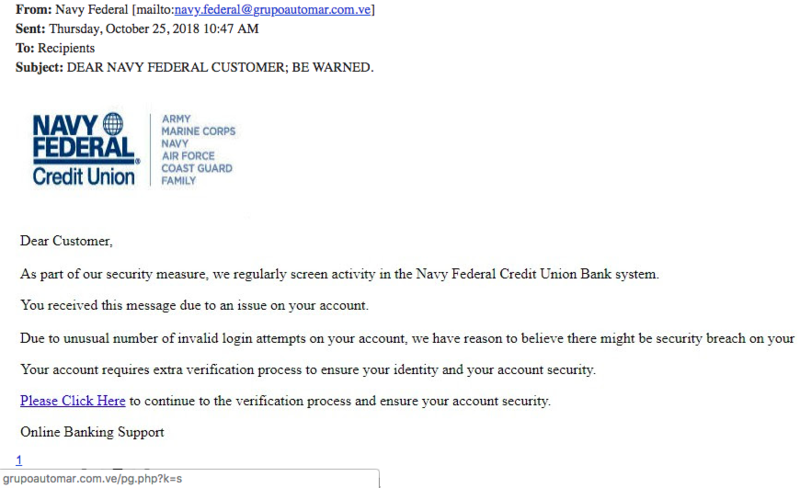 Even though the email was spoofed to appear as though it comes from the real Citizens Bank, we’re certain it did not! You’ll know this yourself if you read the first two lines of the email! 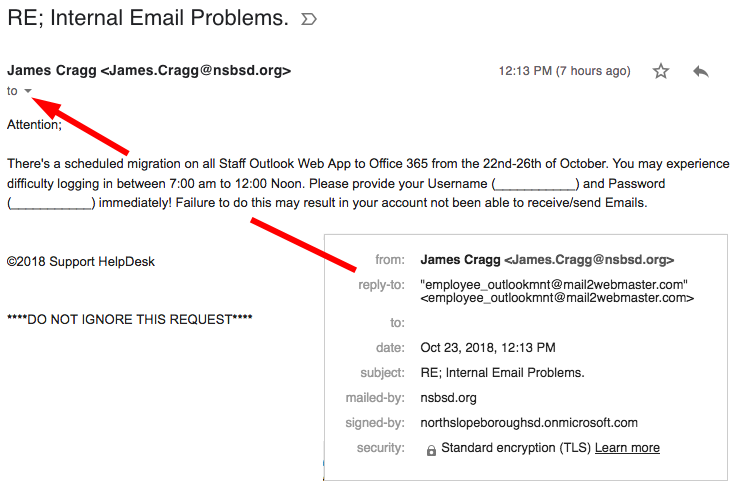 Finally, we leave you with this hilarious phishing attempt that makes no bones about what they want from you! The bottom of the email contained an ALL CAPS COMMAND that is surely meant to intimidate. 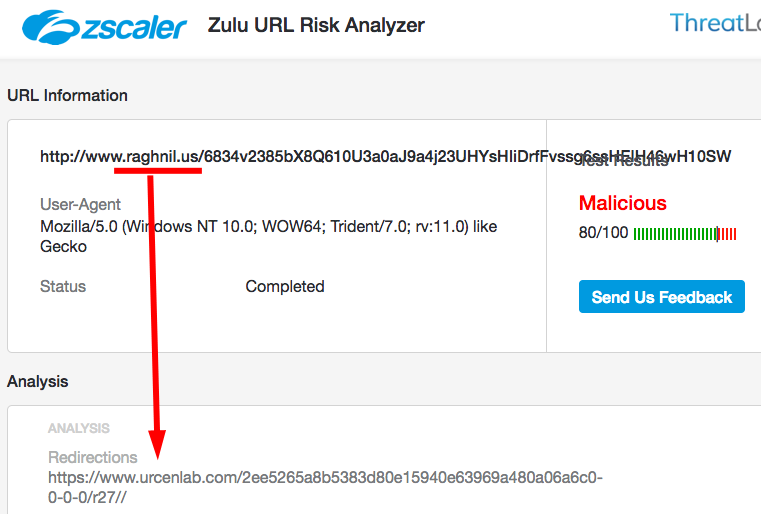 We asked the Zulu URL Risk Analyzer to evaluate that link back to raghnil[. ]us and it showed us that there is an 80% chance it is malicious. 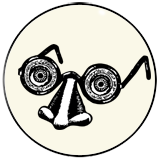 The website will also redirect you to another website called urcenlab[. ]com which it found to be 85% likely malicious. We interpret all this to mean that there is a 165% chance that you won’t like what will happen to your computer if you clicked that link. 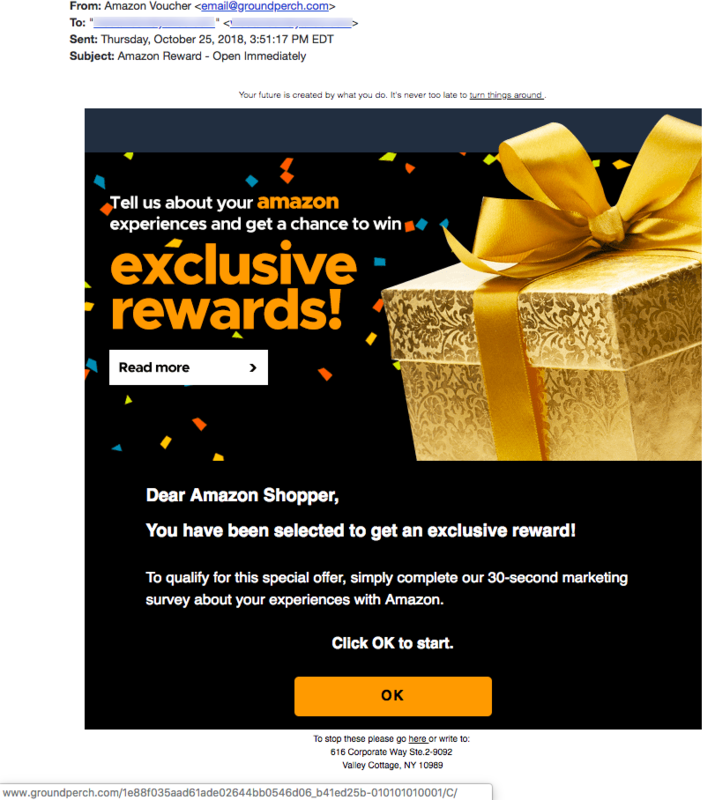 Amazon is used as clickbait so often by Internet criminals that we’ve lost count of the number of times we’ve written about malicious emails disguised as Amazon something-or-others. Here’s another one to throw on this turd pile. Though FROM says “Amazon Voucher” you’ll see that the email was sent from the domain groundperch[.]com. 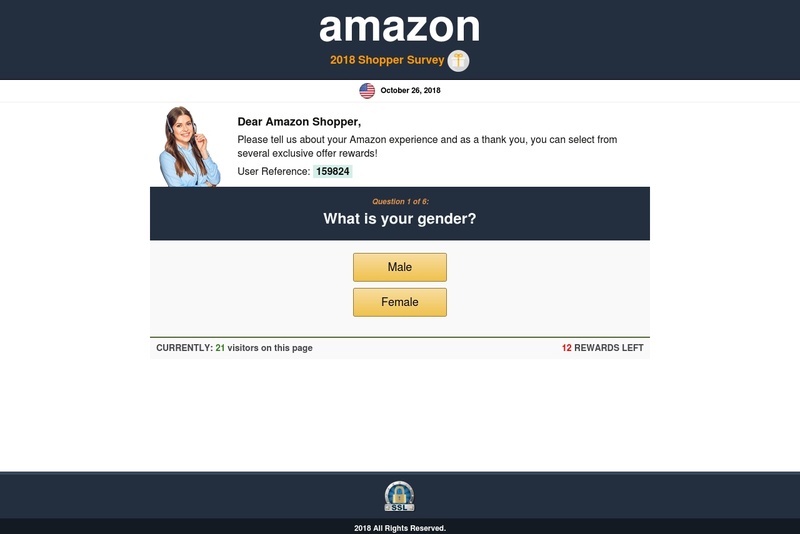 It appears to be a marketing survey, for which you’ll be rewarded if you choose to take the survey. We found a commonly used “dark pattern” on the top page of that survey at groundperch[. ]com that is often used by legitimate marketers to manipulate people’s behavior. There are “CURRENTLY: 21 visitors on this page” but there are only “12 REWARDS LEFT.” What do you think those numbers are meant to do? 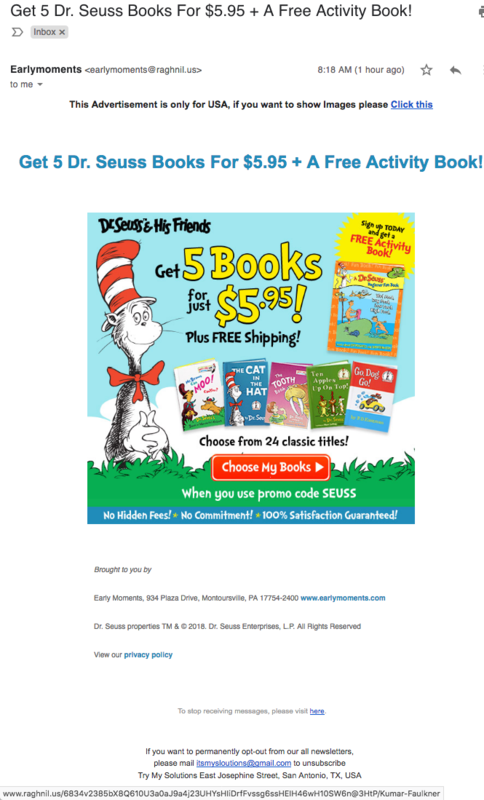 Is this just an annoying, but legitimate marketing email? We have confirmed that others think this is a scam. The tip doesn’t come from that oddball domain groundperch[. 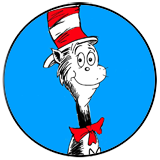 ]com but from the tiny address at the bottom of the email. The address listed is “616 Corporate Way Ste.2-9092, Valley Cottage, NY 10989.” Using Google to search for that address, the first link Google returned is to an article from September, 2016 about Amazon scams on a blog called Scams Named and Shamed. 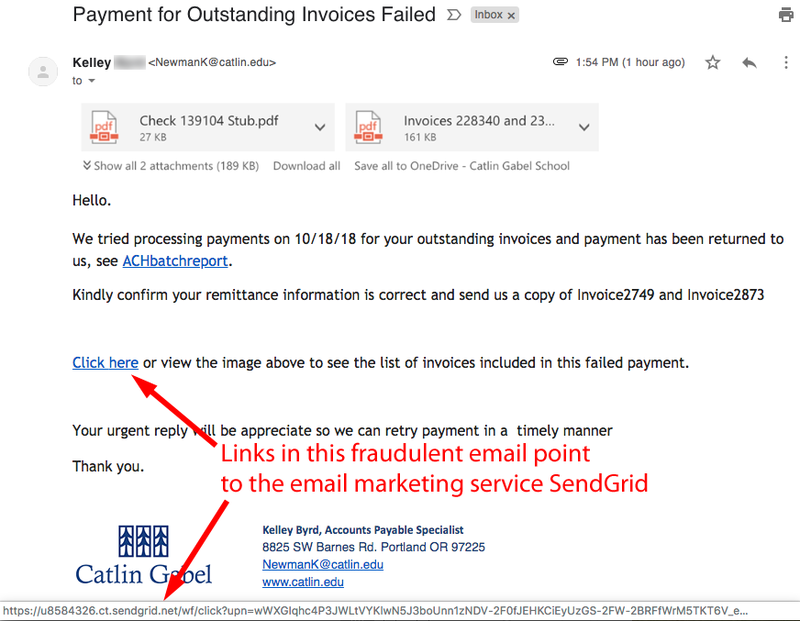 The scam posted in this blog article refers to the same 616 Corporate Way address as the email above. Readers might say that perhaps this other blogger got it wrong! Afterall, sometimes marketing emails can feel scam-like but that doesn’t make them a scam, right? In this era of epidemic Internet deception we believe it is important to pay attention to Google’s search results and consider it a form of “crowd reporting.” When we Googled that address in Valley Cottage, NY we found that nine of the top 10 links returned by Google described scams associated with this address, including one website in French. The only link that did not mention a scam, was the second link which was for the Better Business Bureau. 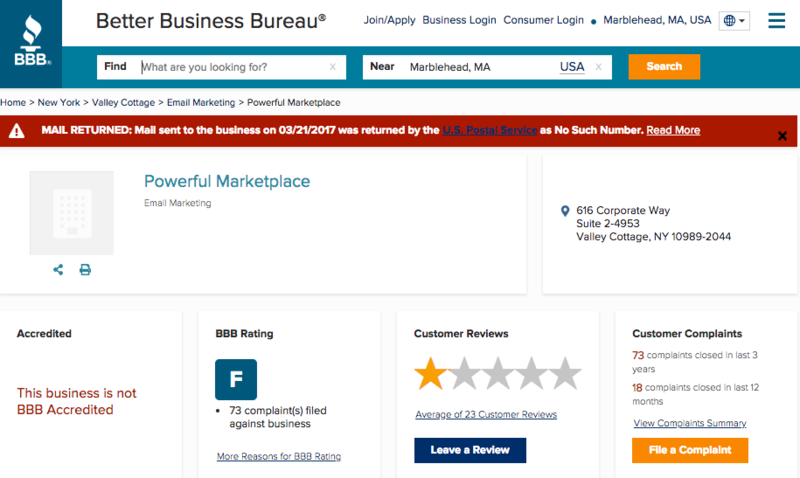 The BBB.org gave this business an “F” rating and also said that there is no such address. How do you feel about taking that marketing survey now? Recent reports from The Washington Post say that a majority of reviews of certain products “have been found to violate Amazon’s terms” for their posted reviews. 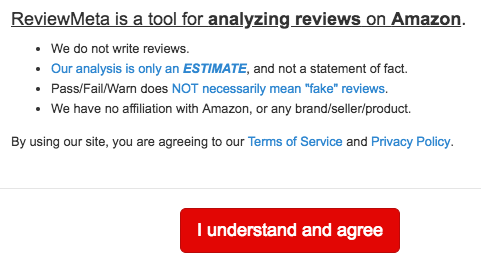 (ABC News: “New Concerns About Fake Reviews on Amazon” / Washington Post: “How Merchants Use Facebook to Flood Amazon with Fake Reviews”) In other words, the reviews are from people who have been paid to say positive things about the product! This is just another way of saying that the reviews are fake. Four products mentioned specifically as having a HIGH PERCENTAGE of paid reviews are bluetooth headphones, speakers, diet pills, and testosterone boosters. From our perspective, “diet pills” and “testosterone boosters” both feel synonymous with fake anything, but we’ve never tried them so we can’t speak from experience. It is important to mention that evidence of fake reviews has ONLY been found for a tiny percentage of products available through Amazon. However, the issue is that customer reviews can’t always be trusted. 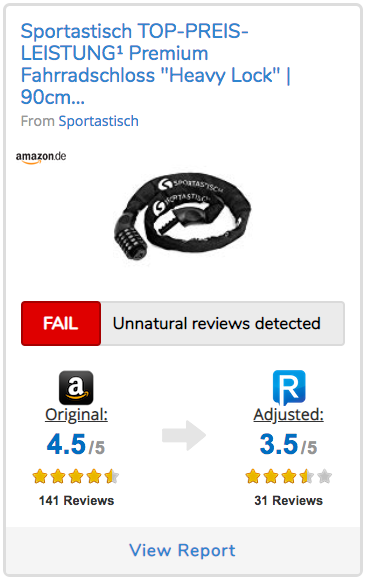 ReviewMeta.com also has a tab for Best/Worst Amazon reviews. When we visited it a few days ago, we found this bike lock from Sportastisch (A German company that makes bike products.) 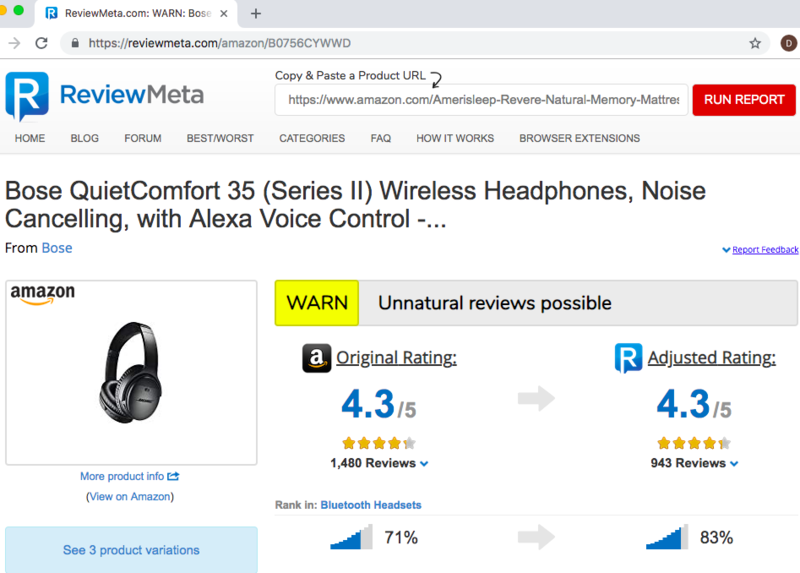 that FAILED ReviewMeta’s standards because 78% of all 141 reviews were deemed to be “Unnatural.” The adjusted product rating fell from 4.5 to 3.5. We wondered just how easy it really is to post fake reviews. Using Google, it took us only seconds to find an app listed on Shopify called “Customer Reviews Rating Stars,” by a developer in the UK. It claims that you can instantly add, manipulate and control hundreds of reviews to your website products in a matter of minutes. This app had a 4.9 customer rating from 22 reviews itself! However, we don’t believe most of them because they say things like “i like it so much,thanks you,” “too good for my site. i had been searching,” and “supper app thank……………..” Caveat emptor! One of our readers sent us this next email. He was not expecting any such invoice. The sender appears to be a woman who works in the business office of a school in Portland, Oregon. Unfortunately, her school and name were stolen and spoofed. The school never sent this invoice. 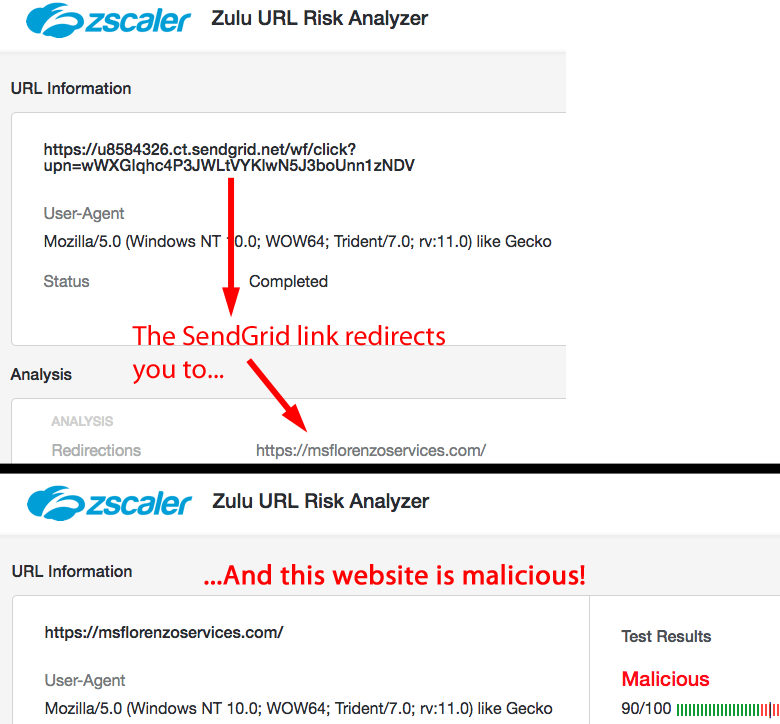 The links for both “click here” and “ACHbatchreport” pointed to a marketing service called Sendgrid.